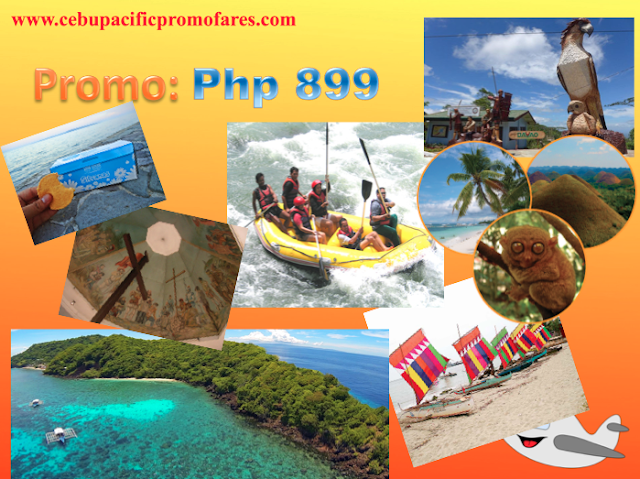 Cebu Pacific Promo Fares: Trick or treat! Are joining this fun activity around your neighborhood during Halloween? Well, if that's not your thing. Don't worry as Cebu Pacific got some treats for you that you can't simply ignore. With the latest promo fares offered by the airline, the cheapest you can avail is at Php 599 all-in fare. The base stations for these domestic affordable fares is from Cagayan de Oro, Cebu and Davao. But of course there are other cheaper fares as well in different regions that will feature down below. The best thing about this news is that travel period of these flights are for next year, 2018. We highly suggest that you purchase tickets at an early date because it's cheaper. So you can always take advantage of this latest Cebu Pacific Promo Fares offering. 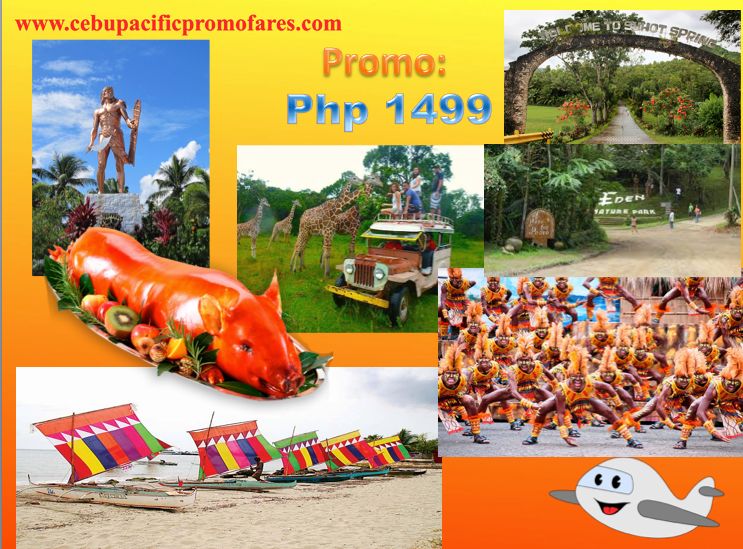 Promo Fares 2018 for Bacolod, Cebu, Iloilo etc. Cebu Pacific Promos: The first month of the last quarter of this year is ending but don't be sad with that as more Cebu Pacific promo fares are coming in! The latest we have checked through our mail is will cost you around Php 1499 for a one way fare to some select destinations. As you know if you are coming from Manila and plans to travel in the next six months, then you might as well keep reading until the end. 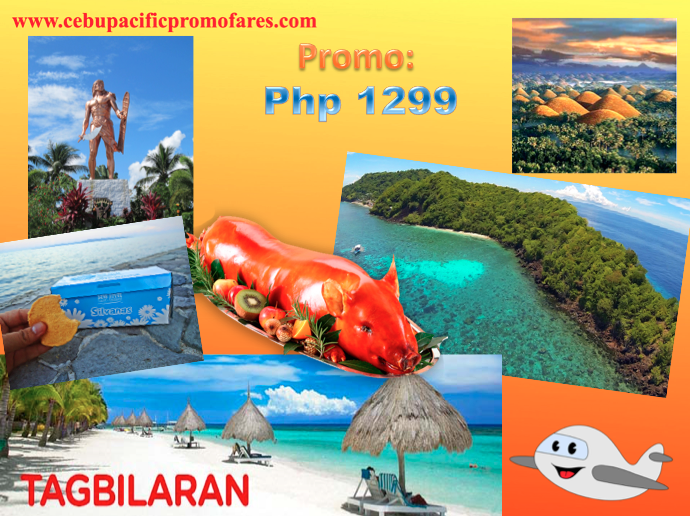 You will get a promo fare going to Bacolod, Cebu, Iloilo, Tacloban, Puerto Princesa and a lot more. You will notice that these are destinations where colorful festivities happen. Take for example, the Sinulog Festival of Cebu and Dinagyang Festival in Iloilo will be happening in January of next year. And you can certainly find promo fares for this travel period. So what are you waiting then? Take advantage of the cheaper fare that you can avail today and travel later on. That will be a huge savings on expense. 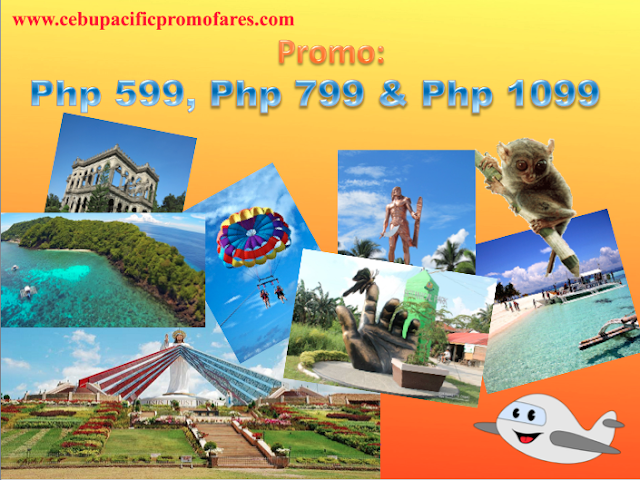 Cebu Pacific Promo Fares: Hello everyone! It's payday! And what more valuable act you can do is get the worth of your hard earned income! Treat yourself to a new getaway. Travel to places you've never been or revisit destinations that you missed. CebuPacific is so grateful for this promo offering of plane tickets to their avid passengers or jet setters like us! There are three specific locations where you can enjoy and take advantage of booking a Cebu Pacific Promo Fare up to next year's travel period in 2018. Book now till Oct 20! As mentioned above or pretty much obvious in the title, the select destinations are Cebu, Dumaguete and Tagbilaran (Bohol). These places may sound very familiar to you. Maybe because of the festivities, the food, the local culture or their tourists attractions they offer. Next Year's Promo Fares until June! Cebu Pacific Piso Fare: Before we check out the next promo fares that Cebu Pacific is offering with us, let's try to do some back tracking with our travel goals that we set for this year or the previous year. If we can retrieve our travel journal in year 2016 on the things or trips or vacations we want to achieve for the current year, how far have we been through? Are the plans even working? Do we have enough time? Would our finances allow us to get that dream destination? We better do some retro checking on it so we can set what areas need improvements. Why are we saying this? It is because, Cebu Pacific promo fares right now is set for a travel period until the half of next year. So whatever the #travelgoals we have this year, it should be hopefully achieved next year, 2018. As of the moment, there are three important promo fares that Cebu Pacific is offering. From Php 599 to Php 799 to Php 1099. All details are stated below. So continue reading after this post. Cebu Pacific Promos: Here you go folks. Promo fares for next year's travel have been sprouting like mushrooms. All we need to do is grab our laptops or mobile phones and book a ticket to our next #travelgoal for year 2018. Thanks for Cebu Pacific for giving us the chance of a cheaper plane ticket. 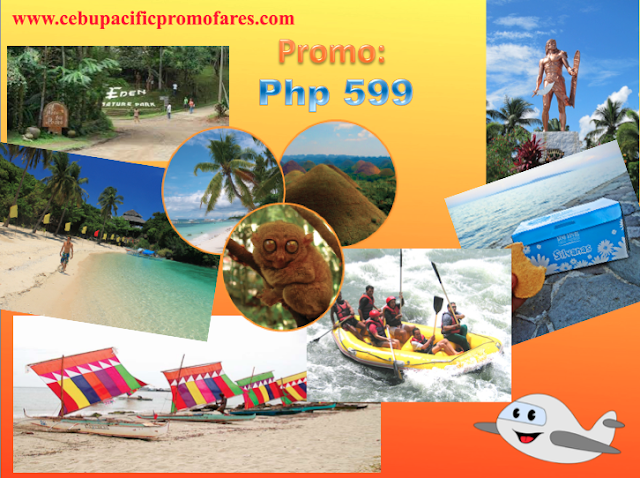 Why don't we check the available destinations where the promos can be possibly availed. Certainly, those coming from the city of Golden Friendship can have the chance for a direct flight to the city of Gentle People. And what to expect in Dumaguete city? We would highly suggest to try Sans Rival Cakes & Pastries for their silvanas! It is so good and is really perfect for pasalubongs to love ones or friends when you get back home. Well, there is the famous Apo island where we thought photo capturing of sea turtles is not impossible as the island is inhabited of a number of these sea creatures.